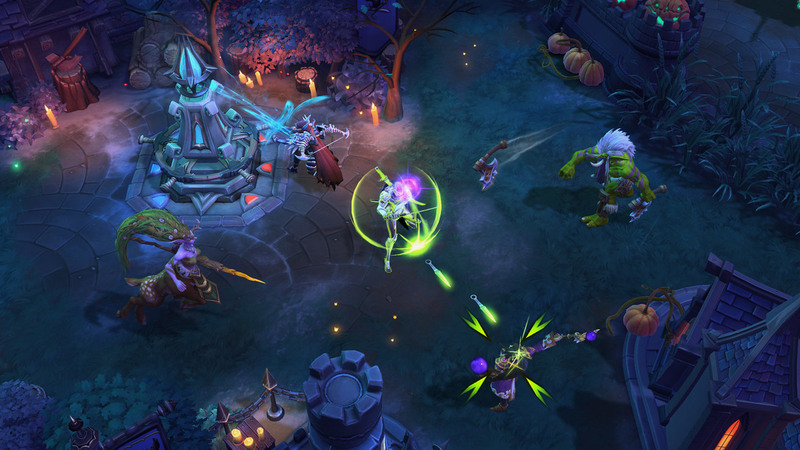 Struggling to beat Heroes of the Storm's most mobile assassin? These tips should help. Despite relatively poor win rates, Genji is undoubtedly oppressive. In the right hands he can comfortably clean up any team that’s consistently low health, and he remains difficult to pin down. His combination of mobility, evasiveness and defence isn’t particularly pleasurable to deal with, especially when he’s constantly throwing Shurikens in your back. Fortunately, there are ways of minimizing his potential. Here’s our best advice. Genji has three methods of avoiding damage: Deflect, Swift Strike and Dodge. Each of these can be used consecutively and each can allow him to avoid or mitigate incoming damage. By default, their cooldowns are fairly lengthy (16s, 12s and 10s respectively). The difficulty in dealing with Genji comes from when he staggers all three abilities. This provides him with three independent means of escaping, making him particularly slippery. It’s important that when Genji is attacking you or your team, that you keep track of his cooldowns. If he used Swift Strike to engage, it leaves only Dodge to retreat. If he has used Deflect, he cannot defend himself without disengaging. At key moments during any fight with Genji, you should be capitalizing on Genji having used at least one of his abilities. No ability that Genji has can mitigate hard crowd control. Even his Deflect, which returns all incoming damage, still leaves him susceptible to stuns, roots or slows. It’s incredibly important that you draft a set of Heroes that all - or the majority - have hard crowd control. Heroes such as Uther, Diablo, The Butcher and Xul work incredibly well against Genji because they all force him to use at least one ability to defend himself and/or escape. Better still, such Heroes also lock him down when he’s already used some of his kit, buying your team a significant amount of time to kill him. Much of Genji’s strength is in his ability to quickly reset his abilities upon killing an enemy Hero. This allows him to snowball in a team fight, providing him with the opportunity to use Swift Strike multiple times for maximum damage. Key to mitigating this series of back-to-back attacks is retreating when low health, and securing Heroes that can burst heal. Uther, Stukov and Auriel can all heal for large amounts to multiple Heroes and this, for the most part, can limit Genji’s potential to swipe through and kill low health Heroes. If you lack such a healer, just be sure to disengage from a fight if you begin to dip below 15% health, even if that means a full-on retreat. 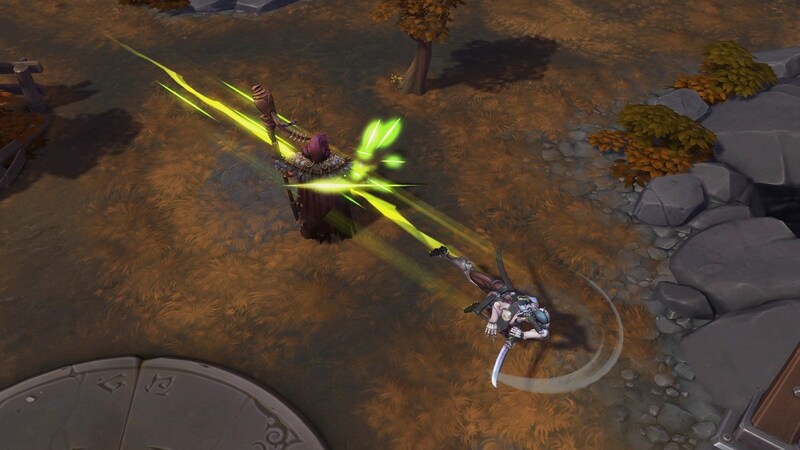 Many Warriors have kits which directly limit Genji’s potential, as they often have tools to stun, slow or throw. Any ability that forces Genji to use an ability to protect himself or to retreat immediately eases pressure for your entire team. Not only this, but Warriors have high health pools and can withstand a great deal of punishment from Genji’s ranged attacks. If they’re also being healed, Genji’s damage becomes negligible. Some of the Warriors that work especially well against Genji include Arthas, Garrosh, Muradin and Varian, as they all have a valuable stun, pull, root or slow. Genji is often drafted on large Battlegrounds because it provides him the opportunity to roam freely. His kit allows him to chase and harass with ease, picking off solo players with impunity. Although some Heroes can survive his attacks long enough to reach safety, most - particularly Assassins - can be caught and killed very easily . Repeat offending can see Genji’s team quickly snowball in terms of experience, and it’s also a sure-fire way of tilting your team. If you can, be sure to roam as a group, or only pursue safe routes through a Battleground. Battlegrounds to be especially careful on include Warhead Junction, Blackheart’s Bay, Infernal Shrines and Sky Temple. Have some advice on dealing with Genji? Let us know in the comments below.